Before I became pregnant with my first child, I was blessed to have some like-minded friends who were just phasing out of the life stage we were just getting ourselves into. 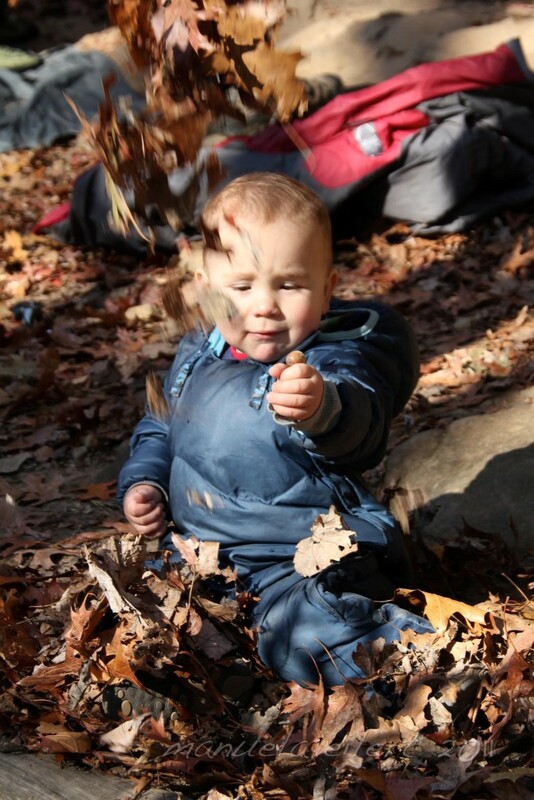 Their then-toddler would be their last child, and they were actually preparing to move to Germany…which meant our family was one of the many to benefit from their infant outdoor gear archives! We scored bigtime in the clothing and shoe department, most of which at this point has either been worn into the ground or given to other families of outdoorsy little boys who like to play in the mud. However, my most “favoritest” piece of all resurfaced this winter for yet a THIRD time – an old, REI brand, bunting-style down suit that at this point has probably logged hundreds, maybe even thousands, of hours at the crag! 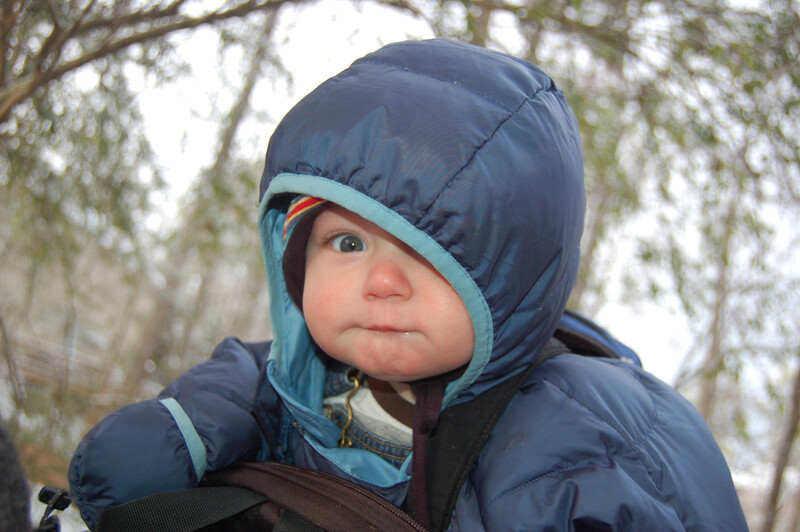 Here’s Finn, circa 2008 or so, who I like to think of as the “original Cragbaby.” His mom was the first woman I ever knew that climbed while pregnant, and they were the ones that showed us it was possible to continue climbing with an infant in tow. Next comes Big C, although he wasn’t so big back in 2011. The size on the tag says 12 months, but Big C rocked it all the way from 6 months until we could barely get it zipped up at 18 months! For crisp fall nights he’d use it as a sleeping bag, then stay in it for breakfast at camp until we were ready to hit the crag. On really cold winter climbing trips, he’d stay in it virtually 24/7! Although I gave away a lot of Big C’s stuff when I found out Baby Zu was gonna be a girl, I made sure to save this suit. And since she was such a little squirt, it took a bit longer for her to be able to fit in it…but I’m hoping that means it’ll take us through one last winter season before we retire it again. 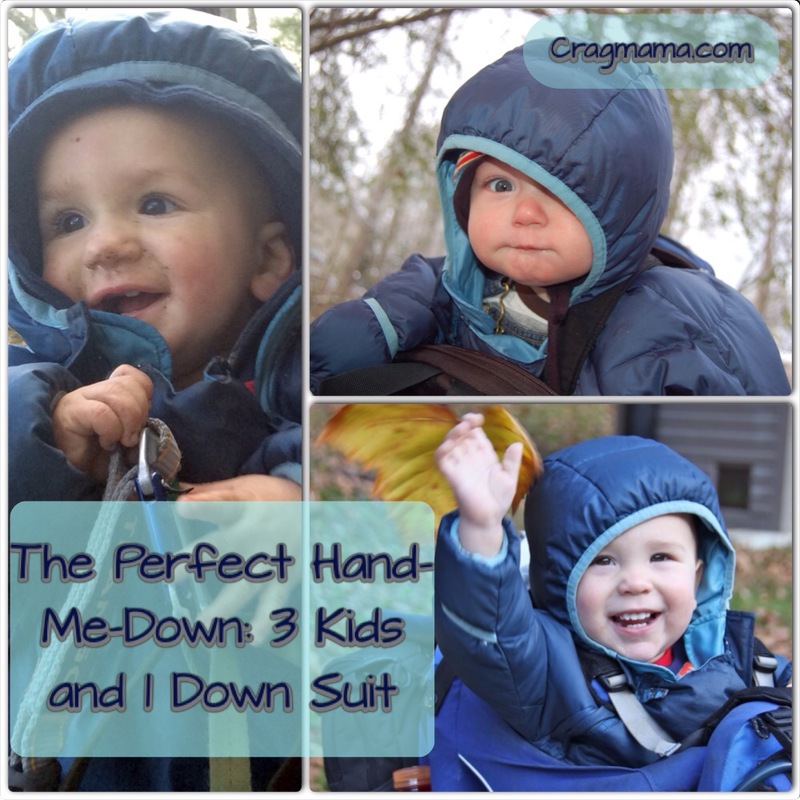 Hand-me-downs are great on so many practical levels – financially, environmentally, and convenience to name a few. But reusing an integral piece of gear also carries a lot of sentimental value, at least for me. 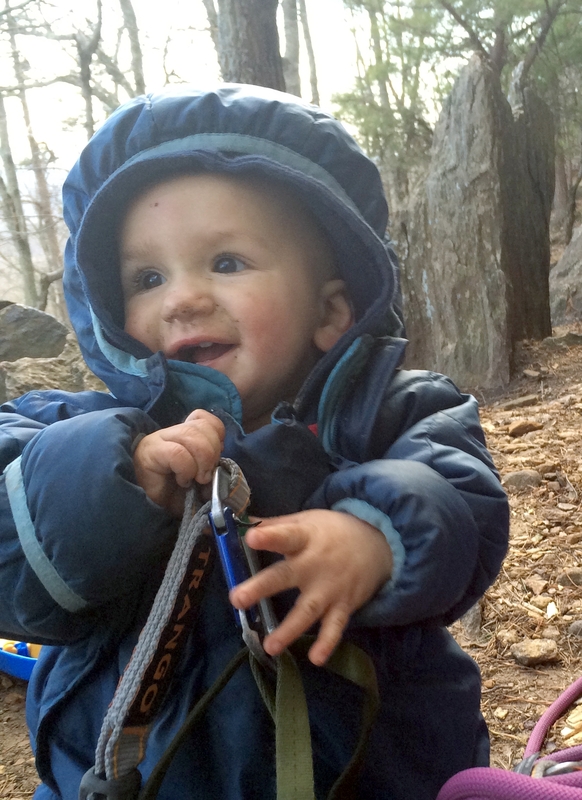 Watching a bundled up Baby Zu playing at the base of the cliff brought back so much imagery of her brother…in the same outfit, playing with the same climbing gear, at the same crag. It was a bittersweet reminder that these childhood moments are fleeting – the gear gets used again, but I can’t stop those kiddos from growing up! Is there a sentimental piece of gear at your house that’s been passed up, down, and all around?